How many startups failed to take off solely due to marketing inexperience? Numbers show that lack of market insight and wasted advertising budget make up for 11% of new business failure. In an attempt to decrease the skills gap between online marketing veterans and those just entering the business, Google launched Google Primer,—a new app that promises to teach you the ropes of online marketing in 5-minute lessons. Here at Hootsuite, we address the digital skills gap with multiple resources available through Hootsuite University. Google is going for the mobile approach. “We realize that learning how to market your business for the first time can be difficult,” Google explains the rationale behind the app on Primer’s official site. Condensed, interactive lessons are aimed specifically at busy schedules of startups. Plus, the entire curriculum is available offline, so you can power through a lesson or two anytime, anywhere. According to the app’s website, Google partnered up with marketing professionals to create content valuable for startups’ digital marketing efforts. 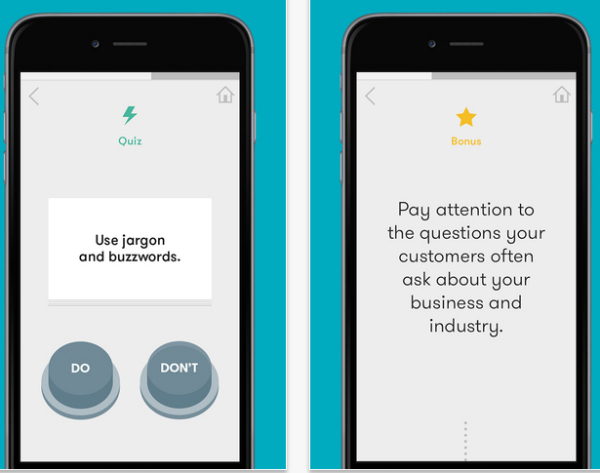 The app promises to teach you skills in under 5 minutes, by offering “no-nonsense, jargon-free” knowledge presented on colourful screens. 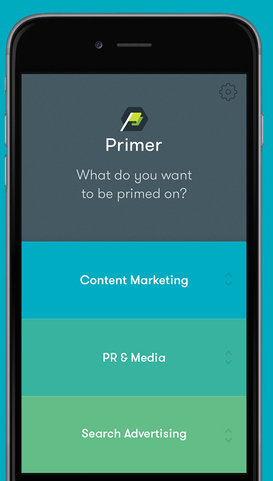 Primer currently offers lessons in three categories—content marketing, PR and media, and search advertising—with more topics to be added later. Each lesson contains theory slides that users can swipe through, case studies demonstrating the topic, as well as a summary interactive quiz and a practice section, where users can test their new skills. iPhone users can download the app for free from the App Store, with an Android release promised in the near future. At the time of this posting, it was also only available for users in the US.